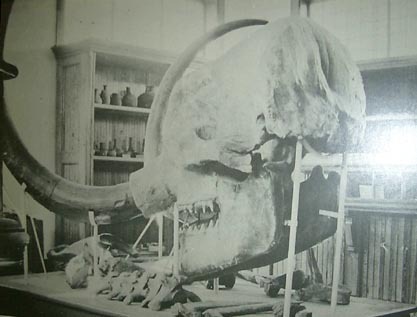 The 1907 Guidebook to Mr. Letchworth's Museum stated that "it is hoped that, in time, nearly all the scattered relics of the countryside may be gathered here for better preservation..." Although that goal was never reached, one important "relic" that was preserved was the Pike Mastodon. 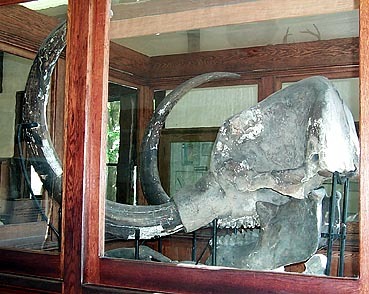 The Mastodon can still be seen in the William Pryor Letchworth Museum today. 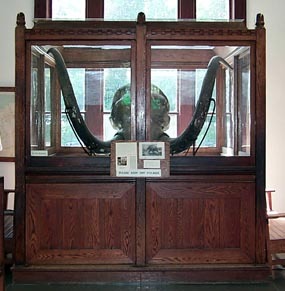 As part of the Park's Centennial Celebration the Pike Mastodon has undergone a major restoration and is an important part of the new "Echoes of the Glen " exhibit at the Museum. 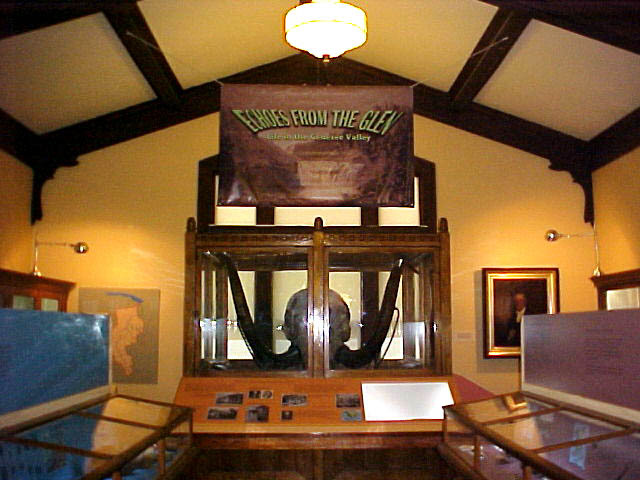 Above: The restored Pike Mastodon as part of the new "Echoes from the Glen Exhibit"